Click on the desired location and find out what awaits you on June 15! Dancing in the festive ambiance is on the agenda at the Ballroom in the Audimax. 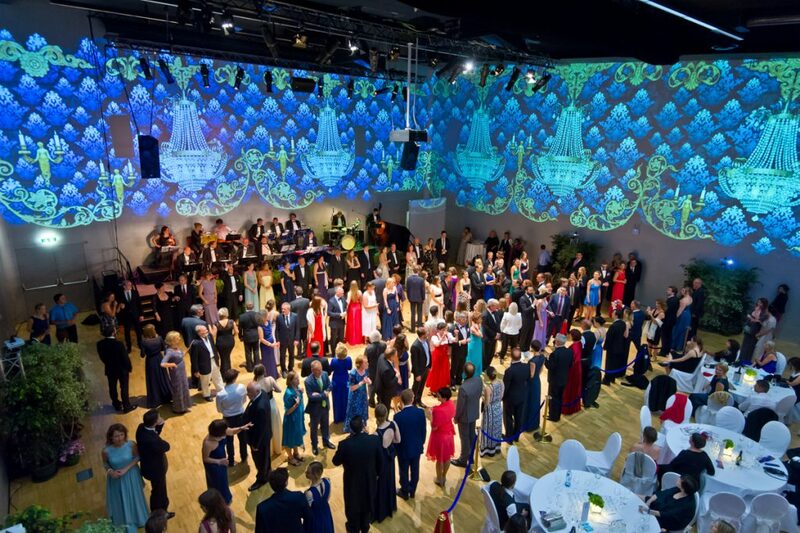 The ball orchestra offers everything a dancer’s heart desires, from foxtrot to tango to the classic Viennese Waltz. The ballroom is designed with a light installation. 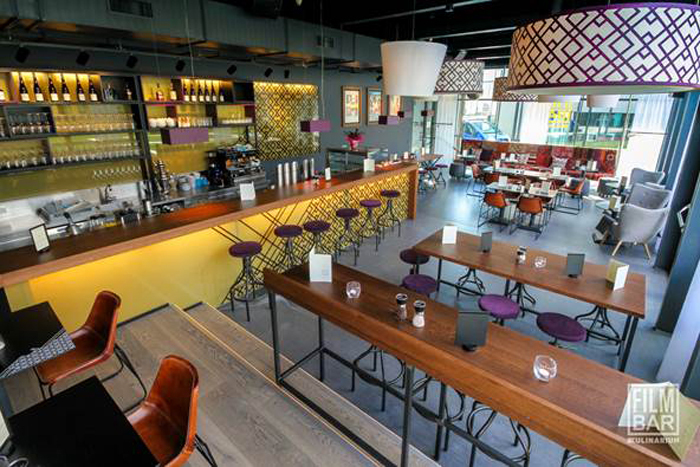 In the ballroom area you can also enjoy our à la carte menu! We welcome our invited guests in the festive ambience in the salon next to the Ballroom. 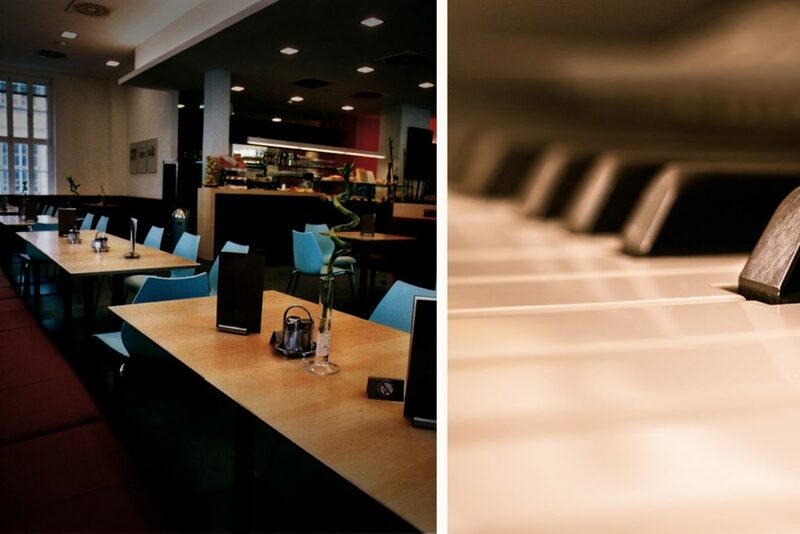 The Kremser pianist Klaus Bergmaier will delight our guests in the cafe.virginier in the old building. Snacks and drinks will be provided for your physical welfare. 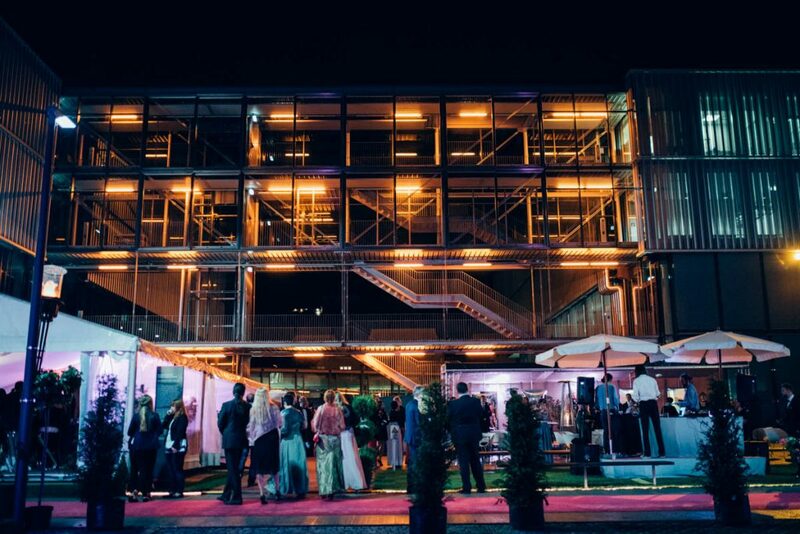 The Filmbar offers vodka, cocktails, wine and snacks at the Campus Ball. The exterior area around the boiler house will be an Outdoor Lounge on June 16 with a great view of the hustle and bustle on the campus promenade. 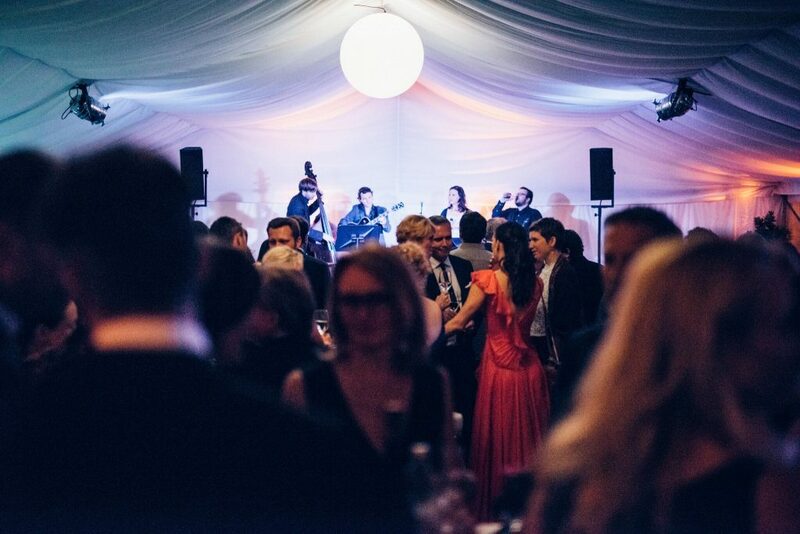 Jazz music from the live band JazzBus awaits you in the Science Lounge presented by Land Niederösterreich. 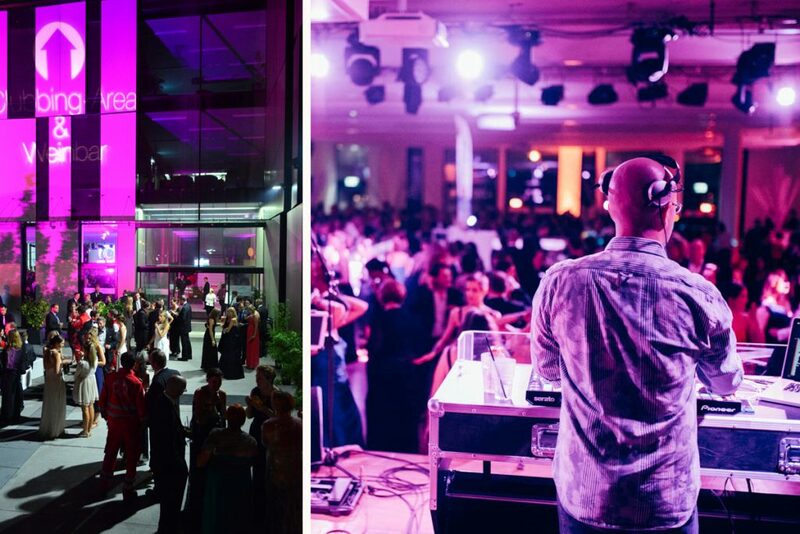 The wing G1 of the IMC University of Applied Sciences Krems is the venue for the clubbing area. DJ Sustep will fill the dance floor with a mix of good old classics, current chart hits and well-known club tracks. The IMC Home Coming takes place in the wing G1. There is also a burger station, a cocktail bar and a wine bar located in order to maintain your physical well-being. 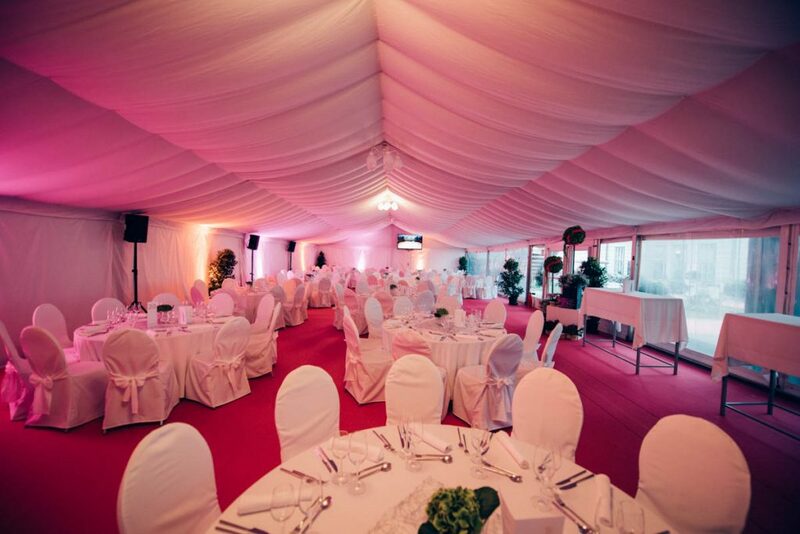 Those who want to rest their legs between two dances, have the possibility to relax and chill in the old building of the Danube University Krems – with comfortable seating and relaxed lounge music. The smoker lounge is located in the outdoor area in front of the NÖ Science Lounge, where friends of the smoking pleasure can relax and enjoy the view of the early summer campus promenade.